I am so bad with plants. Just can’t keep them alive. And it’s a real bummer because I love having plants and greenery around, but I can guarantee you that when all is said and done, I will kill it despite my best efforts. 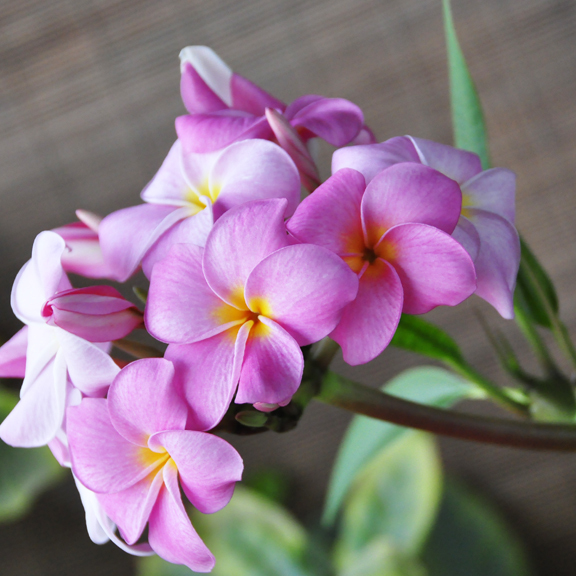 Last summer I bought a frangipani and I loved it. It was my favorite plant. The flowers were nice and smelled lovely, the palms were lush and it seemed like quite a hardy and easy plant to take care of (or so my research had said). Then the flowers stopped (which wasn’t too shocking, I understood it was only to flower certain parts of the year) – but then the palms started dying and dropping off, which did worry me. Figuring this was yet another plant I had failed to properly care for despite my efforts, I left it for dead on my balcony. I know, nice. So imagine my shock when it started coming back to life about a month ago! Apparently frangipanis die off in the winter months unless you live somewhere really hot – properly tropical, I assume. Never would I have guessed that Dubai in the winter would be too cold for anything, but I was wrong. I’m so pleased I didn’t kill it and it’s coming back even nicer and fuller than before! 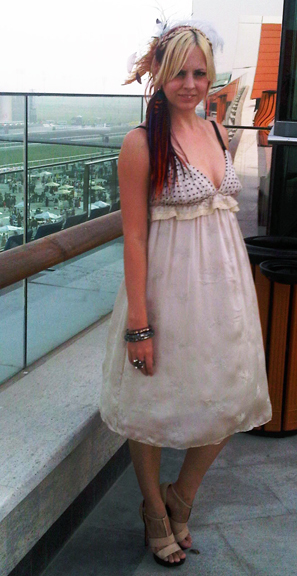 My favorite social event of the year, the Dubai World Cup, took place last week. I absolutely love this event. It’s such a great day out with friends, amazing people-watching, plus a great excuse to dress up. Looking forward to the DWC 2012 already! I didn’t really get any good photos, but I made sure to get one (low-qual Blackberry) shot of my silk paisley and star embroidered dress – from Temperley London. The shoes were actually the same I wore last year, from Gina. They are very comfortable shoes, but I was actually hoping to have a pair of funky Finsk shoes in to wear. Unfortunately they didn’t get in on time (stuck in Italian customs or something, I’ve been told). The feather hair piece is my own creation; I took apart last year’s fascinator and re-purposed it.